People started reporting that their orders for Apple’s new fifth-generation iPod touch and seventh-generation iPod nano have shipped. The delivery of the devices is expected late this week or early next week. 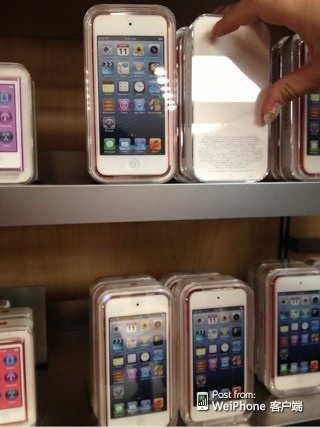 A photo from Japan (after the break) posted to WeiPhone.com, shows that stores have also begun stocking the new devices. Above you can see an unboxing video from Andreas Pall of the fifth-generation iPod touch from Japan. Macotakara has already gotten its hands on both the iPod touch and the iPod nano, posting unboxing and comparison photos. 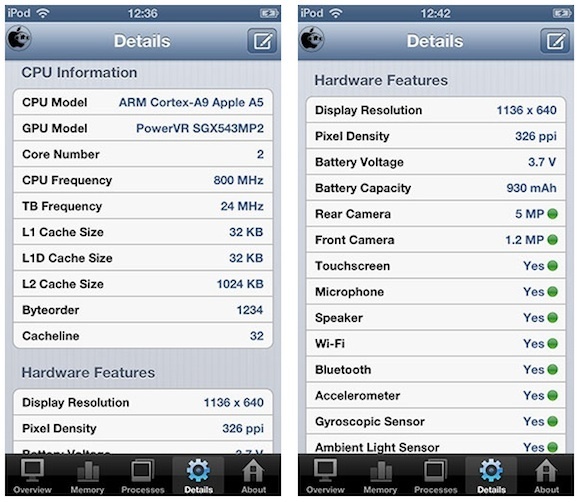 The site has also run some system status and benchmarking tools on the new iPod touch, unsurprisingly revealing that the A5-powered device has performance on par with the iPhone 4S. 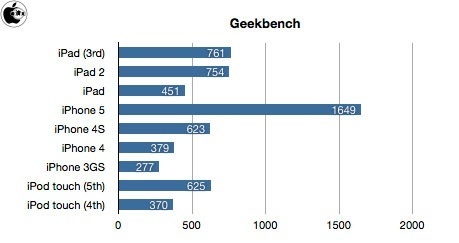 Below you can see iOS device overall Geekbench scores and fifth-generation iPod touch System info.